South Park Conservatory (1898). South Park Boulevard at McKinley Parkway, was designed by Lord and Burnham Company. When the Crystal Palace was erected in London in 1851 of prefabricated iron structural framework and glass panels, it inspired greenhouse manufacturers like Lord and Burnham to adopt the technology and mass produce them. 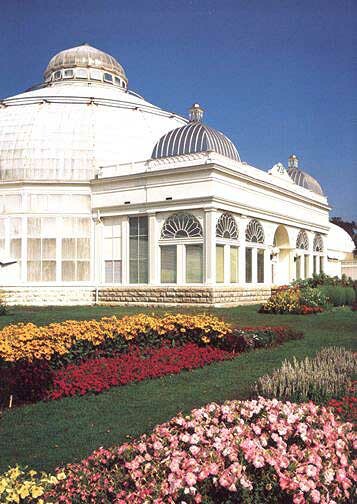 The South Park Conservatory was built as a focal point in the last of the parks designed for Buffalo by Frederick Law Olmsted. At the time it was built, this conservatory was the third largest in the U. S. and the ninth largest in the world. It contains 15 greenhouses today with 1,500 varieties of plants and attracts more than 100,000 visitors annually.